• Tap on the stock to turn up cards to the wastepile. You are entitled to see the next card from the stock before making any decision. 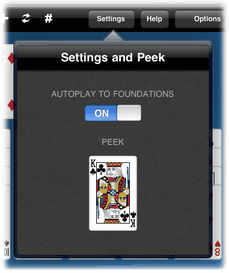 Tap the Settings button to peek.